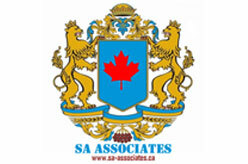 - Education and Immigration consultancy Firm based in Bangladesh and Canada. Canada – Federal Skilled Worker, Federal Skilled Trades Program, Provincial Nominees Program (PNP), Self Employed, Work Permit, Super Visa, Visit Visa and Student Visa. USA – Visit Visa (B1/B2) and Student Visa.